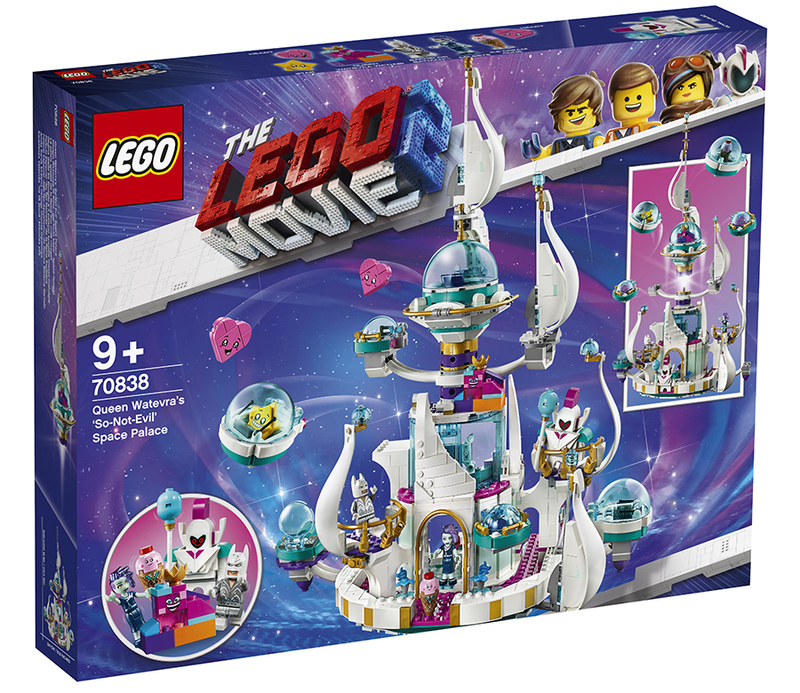 As The LEGO Movie 2 sits atop the Box Office, a trio of new sets based on The LEGO Movie 2 have been unveiled in advance of New York Toy Fair. 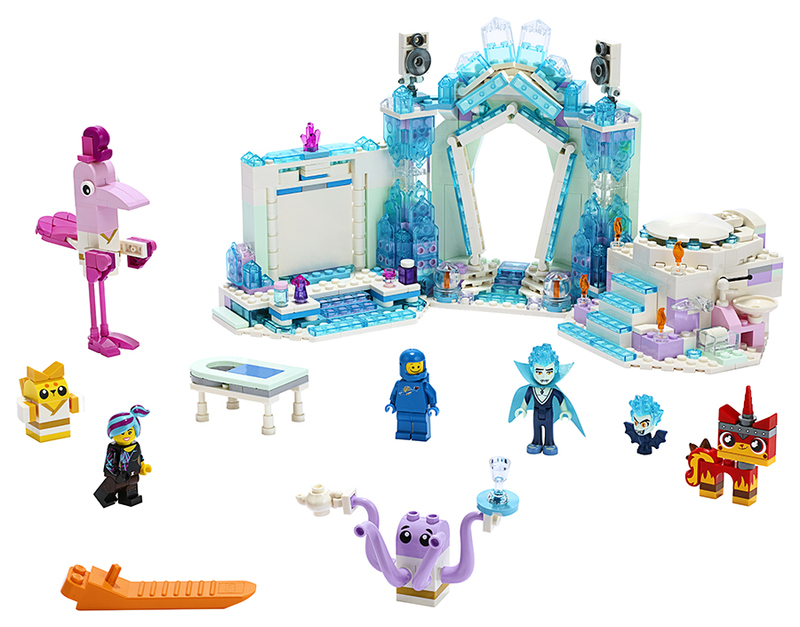 These new sets include Emmet’s Triple-Decker Couch Mech, Queen Watevra’s ‘So-Not-Evil’ Space Palace and Shimmer & Shine Sparkle Spa!. These will be available this Spring. 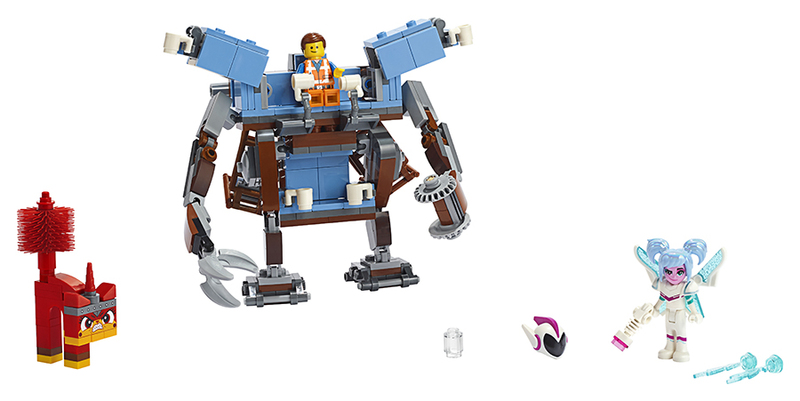 You can check out the sets below. A More detailed look will follow shortly. 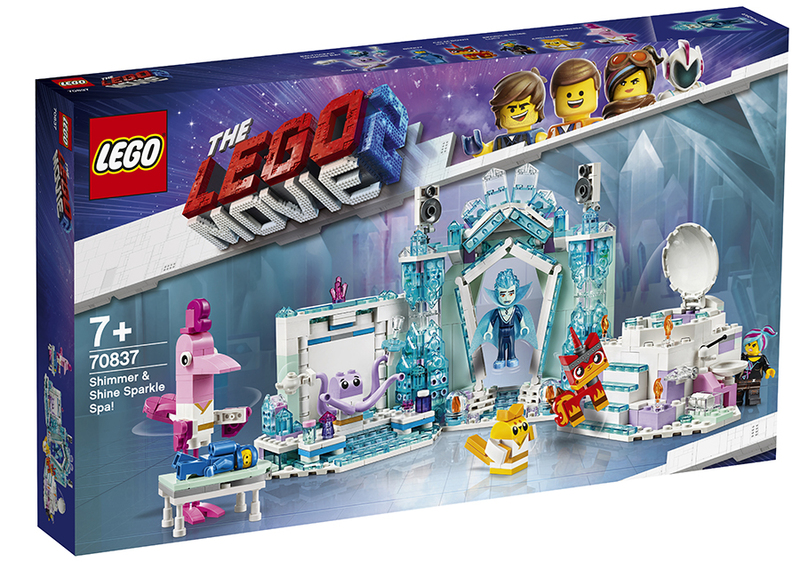 NEW YORK (February 12, 2019) – Following the film’s opening nationwide, The LEGO Group unveiled today three additional building sets that join its broad collection of toys inspired by the new big-screen animated adventure “The LEGO® Movie 2: The Second Part” so that families can discover the joy of playing together. 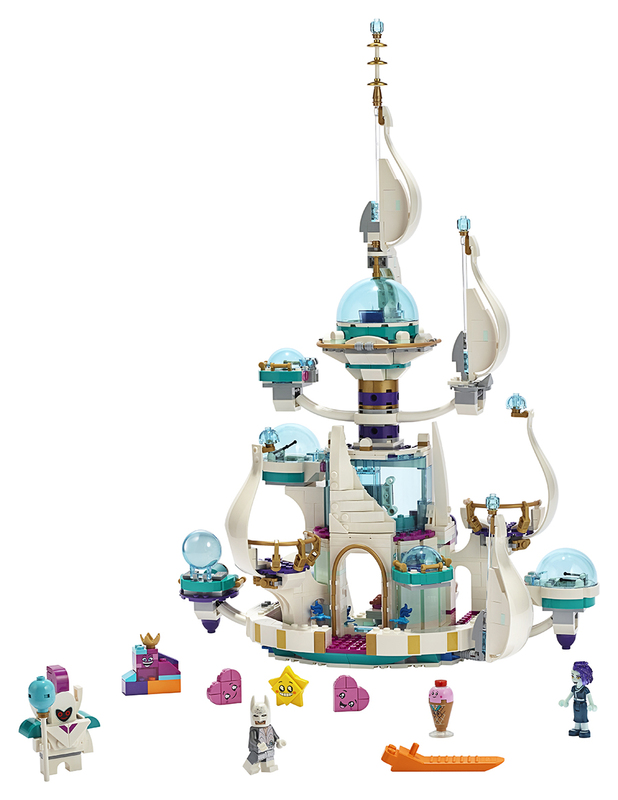 LEGO toys are displayed at American International Toy Fair in booth #1335 in Hall 3B of the Jacob K. Javits Convention Center from February 16-19. Co-play with friends, siblings, parents, and care givers benefits child development and positively changes the family dynamic. According to the global Play Well Report1, families that play together regularly are happier, less stressed and healthier than those that lead low-play lives. Ninety-percent of families that spend more than 5 hours a week playing together describe themselves as happy, a figure that falls to only 70% when less than five hours of family play is prioritized per week. 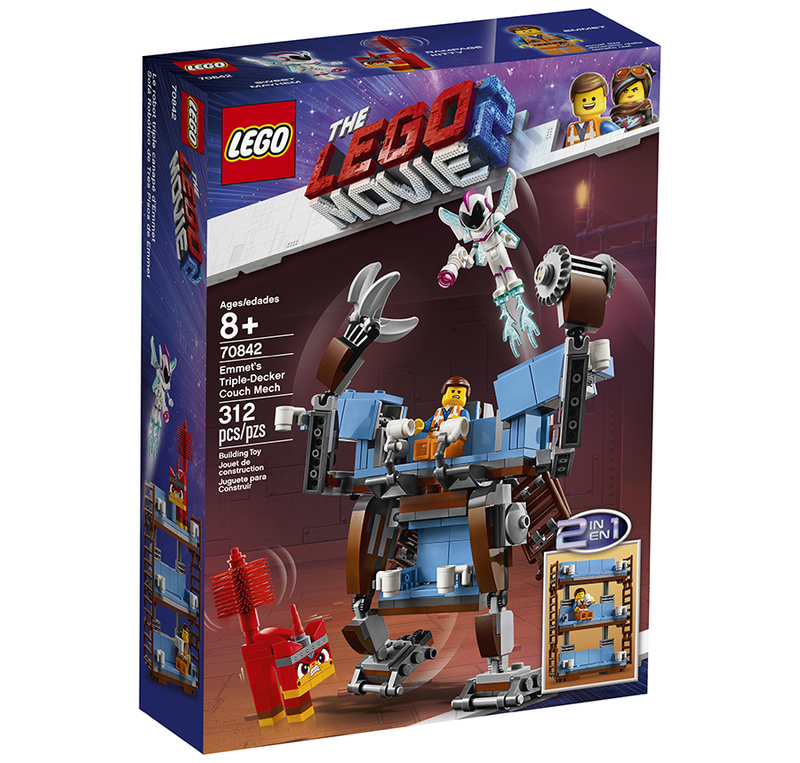 1 The LEGO® Play Well Report 2018. The research is a cross-cultural survey of attitudes and behaviors undertaken in nine countries – China, Denmark, France, Germany, Russia, Saudi Arabia, Mexico, UK and USA.